Welcome to my business website; Wicked Cow Marketing. Despite the funny name, I’m serious about marketing and helping small businesses achieve their goals. 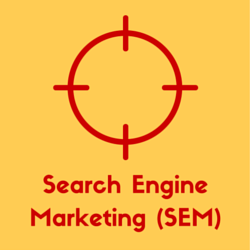 I’ve been working in Local SEO with a focus on Adelaide for 7 years and have found my customers value my personalised service, affordable rates and expert knowledge. Read on below for my latest research on what’s working right now in 2018. If you’d like help implementing this for your business, please don’t hesitate to contact me. Last year (2017) was a big year for Local SEO as the Google My Business (GMB) dashboard got a lot of updates and we can see local becoming more and more important for Google’s overall and mobile strategy. 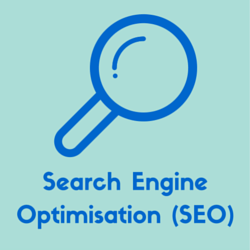 Local SEO is becoming a significant discipline within broader search engine optimisation and its important to stay on top of the updates so you don’t get behind. Luckily for you I am doing that and will summarise my findings here so you can get off on the right foot in 2018. Many people can get the information they need directly from the search results without even needing to visit the business’s website, particularly if they’re on a mobile device as an increasing number of internet activity is these days. The website is still important as we’ll discuss below but GMB might be equally as important in some verticals. You may have noticed that Google has been sending out a lot of emails related to your GMB listing, including monthly analytics updates and reminders to update your business hours in the holiday period. We believe that this is part of Google’s strategy to bring business owners back to the GMB dashboard regularly to give them more opportunities to sell advertising and also maintain their competitive advantage of having the most and best local business data. Another thing I noticed more in the last year is a fragmentation of the Local SEO strategies into the traditional white hat, grey hat and black hat categories we see in general SEO. For the uninitiated, these categories relate to what the search engines allow in their guidelines. White hat techniques are explicitly allowed or follow in the same spirit of the guidelines. Black hat techniques are explicitly not allowed, and grey hat techniques are somewhere in between. Typically black and grey hat tactics will get cheaper/easier and/or faster results than white hat tactics but there’s an increased risk that the search engines will discover the technique is being used and either apply a manual penalty or ignore the work produced by these techniques which means you’ll be wasting your money without getting any results. Black and grey hat techniques and tactics have been around for a long time in local SEO e.g. fake reviews, fake business names, fake business locations etc. but I’m noticing an increased fragmentation recently. Now that we have that preamble out of the way, it’s time to get into the techniques and tactics. I’m going to split them into white, grey and black hat so you can decide which strategies are right for you. Reviews – these are becoming increasingly important and you need to have a review strategy in place to attract, manage and learn from reviews. New features – Google are often testing new features which may or may not stick around for the long term but it’s worth while embracing them early so you can get full value. Google My Business website – probably primarily for those businesses that don’t have a website, Google have introduced a simple website builder which can be attached to your GMB profile. We suggest creating one even if you do have a website, just remember to untick the option that makes in the primary website linked to from your GMB page. Q&A – this feature allows people (on mobile devices only at this stage) to post questions on your GMB profile and others can answer. When the question is posted, a notification is sent to all maps users (with accounts) that have interacted with your business so that they can leave an answer. If you’re proactive you can leave an answer yourself as the business but you’ll have to be quick if you want to get in with the first answer. Alternatively, you could also post your own questions and then answer them yourself if there’s a piece of information you’d like to be known about your business. Monitor your dashboard – another reason you need to monitor your dashboard is because consumers, and possibly sneaky competitors, have the ability to suggest changes to your GMB information. If you don’t pay attention, these changes could be automatically accepted without you realising it. Citations – citations are still believed to be important. These are essentially instances of your business’s NAP (Name, Address & Phone number), as well as other information, on the web. The most common form of a citation is a local business directory listing. You should try to get listings in all of the major free directories – there’s about 20 in Australia. Don’t stop there though, keep going and try to get another 20 – 40 citations from the more minor directories. Link building – link building to your website is still a very important part of local SEO as Google uses these signals to determine your business’s prominence and authority. Both local and non-local links will help but I’m only going to address local links here. 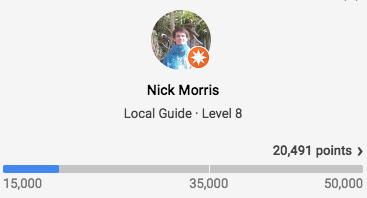 Photos – Google is putting a lot of emphasis on adding photos to GMB both to business owners and to those reviewing/interacting with your GMB profile on Google maps. Photos are obviously something they care about, possibly because they’ve been so successful in the growth of other platforms such as Instagram and Facebook. You should try to add photos in all of the main categories that GMB has and generally try to have more photos than your competitors (you can see how many they have, according to Google, in the GMB insights report). Geotag images – an additional step you can take which might help to establish your geo-relevancy is to geo-tag your photos. You can do this by making sure geotags are on in your camera settings or your can manually add the tags using a tool like this one: https://www.geoimgr.com/ before uploading them. Categories – it’s really important that you select the right GMB category for your business. Look what categories your competitors are using, particularly those that show up when you search for your target keywords. You should also add 3-4 additional categories to cover your bases. Geo Relevancy – you need to create signals that will let Google know that your business is more relevant to your target location/s than your competitors. Note: Be cautious when using these tactics and consider consulting an expert first. Google Map Embeds – this technique is the local SEO version of link building with a PBN (private blog network). I’ve not seen anything from Google that disallows this kind of thing but its not really in the spirit of the white hat guidelines. Still, it appears to get results. The idea here is to search for your business + address in Google maps and then select the option to share > embed map and copy the embed code. You then need to create or buy posts on a bunch of websites (web 2.0s are common) and add the embed code into the post. Note that it’s too risky to link directly to your website using this method so I wouldn’t recommend that. Google Docs/Sites Stack – the idea here is to leverage Google’s own services to create links back to your website. Google docs and Google sites can both be made public and crawlable so the strategy is to interlink a number of different docs and sites together around a particular topic and then link off to your website from there. Local Charity / Non Profit Sponsorships – this has been a popular way to get high quality links for a long time and seemingly should have been discounted by Google but it still works. Possibly Google doesn’t want to discourage this kind of activity because it’s obviously great for the community. Note: I don’t recommend that local business owners get into black hat tactics in general and certainly not without consulting an expert first. Google wants to bring you back to the GMB dashboard regularly in 2018 and there will be significant gains for those businesses that can stay on top of the trends and gain the coveted top rankings. You’ll need to decide what risk level you’re willing to accept then get to work on the things I’ve highlighted here or hire someone to do it for you.